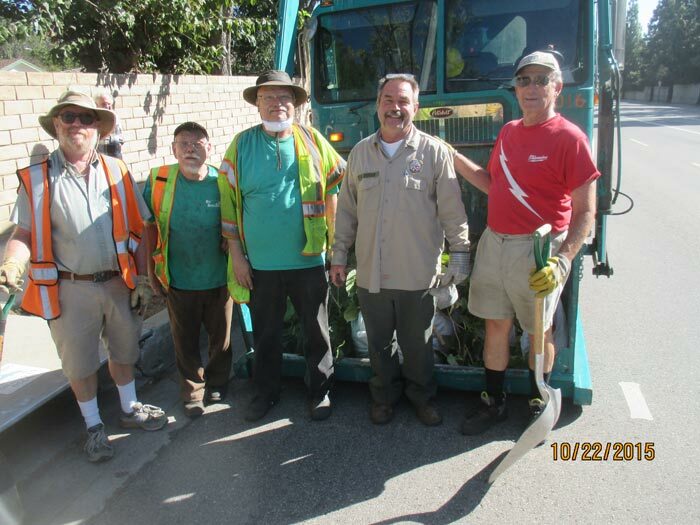 Thank you to Enrique of City Sanitation – Ken’s crew was back in action again Thursday, October 22, 2015 wasting no time efficiently and expeditiously removing piles of debris we collected along Devonshire Street. With you and your Departments help our Phenomenal Beautification crews are now able to clean blocks of gutters, sidewalks and streets of debris. This in turn allows the wrath of mother nature to drain into unclogged storm drain catch basins providing safer driving conditions along one of our busiest streets.